SAVANNAH Georgia (July 10, 2013) -- Already the drums (or should we say craft beer kegs and beer festival barrels) are rolling with the hype of Savannah Brew Fest. The Savannah beer tasting event is to be held August 31, 2013, the Saturday during Labor Day Weekend in downtown Savannah -- 1:00 - 5: 00 p.m -- attended by craft beer aficionados and locals. Beer in character-rich Savannah is legendary. It was a provision on board the ship Anne with the first British settlers traveling to the Georgia colony frontier (ca. 1733). for socializing, people watching, food and a brew. Our Romantic Inns decided to toss in ideas for friendly pubs downtown -- the fun places to go for delicious Savannah pub food and a beer. "The idea of legally walking around downtown [Savannah] in broad daylight with an open container was simply too good to be true...." writes Jürgen and Mike in their For 91 Days,com blog about the Savannah to-go cup. Preparing for this popular beer festival weekend, the inns will informally champion etiquette for the notoriously popular Savannah to-go cup. "Our member bed and breakfast inns in Savannah are simply going to inform our lodging guests of the City of Savannah Ordinances. It's a fun part of coming to Savannah, and we'd like to keep it. So, we'll be adding one more request: 'Please dispose of the to-go cups in proper trash receptacles'." "That seems so obvious, and we do not know who is doing the littering -- locals or travelers. But, it's troubling. A dozen small inns can do a little to heighten awareness about keeping Savannah beautiful and clean. We are seeing too many plastic cups tossed into manicured landscapes or discarded on window sills or steps," states Jackie Heinz, marketing chair of the Romantic Inns of Savannah association. You may be surprised, as we were, that none of the larger beer gardens, beer halls with hundreds of beers, or packed bars are on this list of recommendations. The distinctiveness, however, aligns perfectly with the smaller romantic inns, which offer and recommend quieter, romantic places where one gets to converse with the friendly Savannah locals. 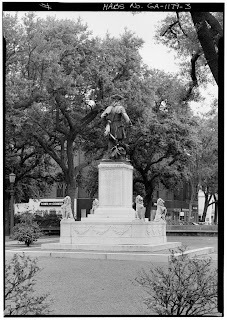 RECAP: The final rundown of favorite, friendly Savannah pubs, according to Romantic Inns' innkeepers: Crystal Beer Parlor (3); Six Pence Pub (3); Planters' Tavern [Olde Pink House] (2), and one each (alphabetically) for Abe's on Lincoln, Billy's Place, Chart House, Churchill's, Cotton Exchange, Jazz'd Tapas Bar, Molly Macpherson's, Murphy's Law, Soho South, The Public, Wild Wings, and Your Pie. Cheers! Now for the details. "I will go with the obvious for me here, I’ll take the Crystal Beer Parlor. My favorite dish: Duck Wings – these are on the special menu so they don’t always have them but when they do I always have to get an order. Tip: get the Duck Wings with the sauce on the side, then you can control the heat (spicy). If they are not on the special menu, their hamburgers are the best with homemade hand-cut fries or potato chips, with blue cheese dressing on the side for dipping of course. The Crab Soup is a must have with just a drop or two of Sherry! If you’re in the mood for shrimp, their fried shrimp is very good. Nice and fresh. Best drink: take a look at the beer menu. Fabulous selection! After all it is 'The Beer Parlor'." "We like Churchill's. Love their cheese tray and their wonderful beef pot pie with puff pastry. 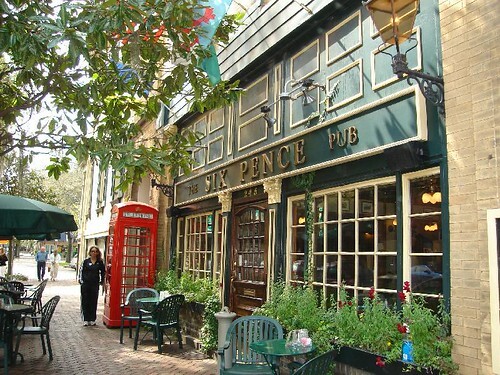 They make good Bloody Marys; but, the BEST Bloody Mary in town is at the Six Pence Pub. Food not so much. Our families like Churchill's as they have small plates and a large menu that gives lot of options for kids." We like the Chart House Tavern for happy hour, Monday through Friday, 4:00 to 7:00 p.m. Great app's and special drink prices. Also we like Billy's Place, although we do not get out much!!" Savannah Villas -- Crystal Beer Parlor, Cotton Exchange, and Soho South "Allen and I like the Crystal Beer Parlor. It's a nice, casual place to go and eat and offers a good value for the money. The bar always has a festive atmosphere where you will usually meet some very interesting people. Every time we go there I have the lamb burger. This is the only restaurant I know which serves this. It seems to be a popular dish. I also like the Cotton Exchange on River Street. I always get the Reuben sandwich with a side of the potato salad, which is wonderful. Finally, I would say Soho South. They have a Mediterranean sandwich which is wonderful. It has pita bread, banana peppers, and an olive tapenade. It is excellent." "We do not have a favorite pub. We don't go to them very often. We like to get a drink from Wild Wings and carry it over to the tables at Ellis Square. Or Joe will pop in somewhere when we are on a walk to pick up some wine. We love the nacho's at Wild Wings, and the Panini's from Your Pie." "Comes to my mind: "The Public", recommended by my guests often (over 20 blend of beer, select big wine list), very European flair, worth to try. Jazz'd Tapas Bar, great music 6 days a week: swing, jazz or classical vocals in the style of Sinatra or Savannah's own Johnny Mercer. Specialty Martini. Unique Food in Savannah - their fabulous Tappaz.z." The Pink House Tavern [Planters Tavern]. They mix my virgin margaritas (delicious), select wine list, old time singer/pianist. Great Hospitality. My guests love it." Whitaker-Huntingdon Inn - Crystal Beer Parlor, The OldePink House and Six Pence Pub. "A larger number of our guests list these three places as enjoyable establishments to have a convenient meal and/or drink after a full day of sight seeing and touring. I like Crystal Beer Parlor because is it family oriented and offers a wide range of food choices, and is within walking distance of the inn. If someone wished a beer or alcoholic drink, they seem to offer a wide range of choices. Home made style fries and chips, hamburgers and other healthier items such as salads and bison are available. The Olde Pink House's downstairs piano bar [Planters Tavern] is also a nice place to meet friends or for a couple to go after (or for) a meal or just to relax and listen to live music. The range of meals downstairs are the same as up stairs; but, you can also have a number of after dinner dishes / desserts / drinks. The Six Pence Pub is also listed in our guest books a number of times. Guests state that they enjoy sitting outdoors and watching the activities along Bull Street, as they enjoy a drink and/or a British style meal in the nicer months or on cooler summer nights." "Start with a Welsh Rarebit and follow it with a Beef Guinness or Open Face Roast Beef, and followed by a Crème Brulee." 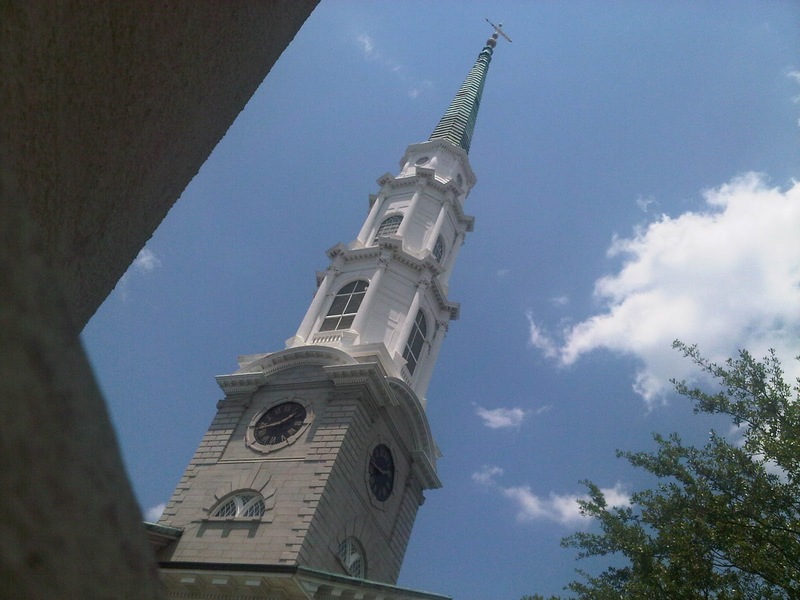 We hope you enjoy a few Savannah pubs from the variety of friendly, romantic places listed. We cannot close without inviting you --Let Savannah Romance You! ... beginning in one of the Romantic Inns of Savannah. We'll be happy to help with your Savannah, in-town itinerary. [verified accuracy July 2013] Excerpt City of Savannah Ordinance: Sec. 6-1215. Consumption of alcohol on city streets prohibited; limited in certain area. (1) One drink on-street limit. Any establishment licensed to dispense alcoholic beverages by the drink for consumption on the premises is authorized to dispense an alcoholic beverage in a paper or plastic cup, or other container other than a can, bottle, or glass, for removal from the premises; provided, however, that no establishment shall dispense to any person more than one such alcoholic beverage at a time for removal from the premises, and no person shall remove at one time more than one such alcoholic beverage from the licensed premises. (2) Size limited to 16 ounces. No container in which an alcoholic beverage is dispensed and removed from the licensed premises shall exceed 16 fluid ounces in size. No person shall hold in possession on the streets and sidewalks, in parks and squares, or in other public places within the defined area any open alcoholic beverage container which exceeds 16 fluid ounces in size. (3) Drinking from can, bottle, or glass prohibited. It shall be unlawful for any person to drink or attempt to drink any alcoholic beverage from a can, bottle, or glass or to possess in an open can, bottle, or glass any alcoholic beverage on the streets, sidewalks, rights-of-way, and parking lots, whether public or private. (4) Festivals. Unless specifically provided otherwise by ordinance, the regulations provided by this section shall be in full force and effect during the Saint Patrick's Day Festival and any other festival.